University of Pittsburgh Press, 9780822962915, 80pp. 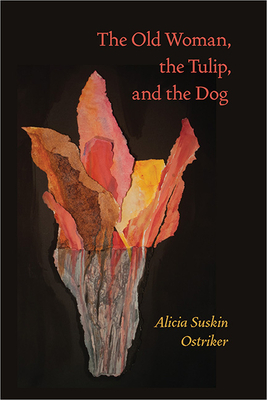 "In her new collection, 'The Old Woman, the Tulip, and the Dog,' Ostriker brings together a trio of voices-each a living thing, each mortal and yet calling out its truths in a clear tenor. These three voices, extraordinary in their ordinariness, build conversations that whirl around each topic. They catch angles of consideration that illuminate issues of the body, mind, relationships, and the earth itself. The woman, the tulip, and the dog have their say in turn, agree and disagree where they ought, and leave the reader in a deep, smiling contemplation. . . When Ostriker speaks this way through these dynamic, lovable beings, I am reminded of the burdens and aches of life as well as its joys and triumphs." "The implications of these poems are worthy of consideration and the journey to arrive at meaning is an entertaining and enjoyable undertaking."